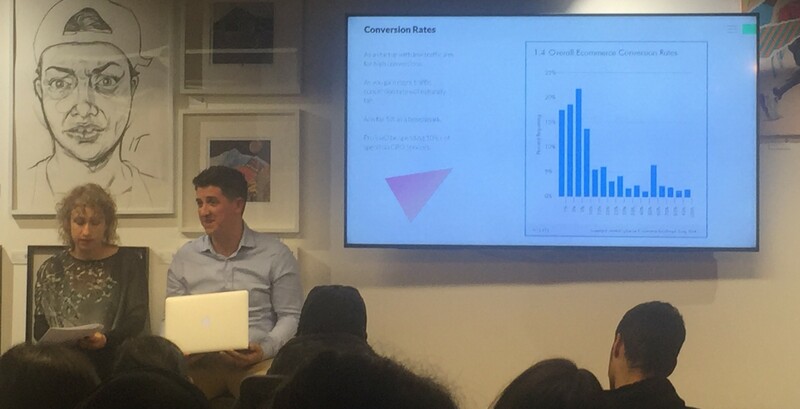 A couple of weeks ago I had the pleasure of speaking at an eCommerce event arranged by the team at Fashion Angel. 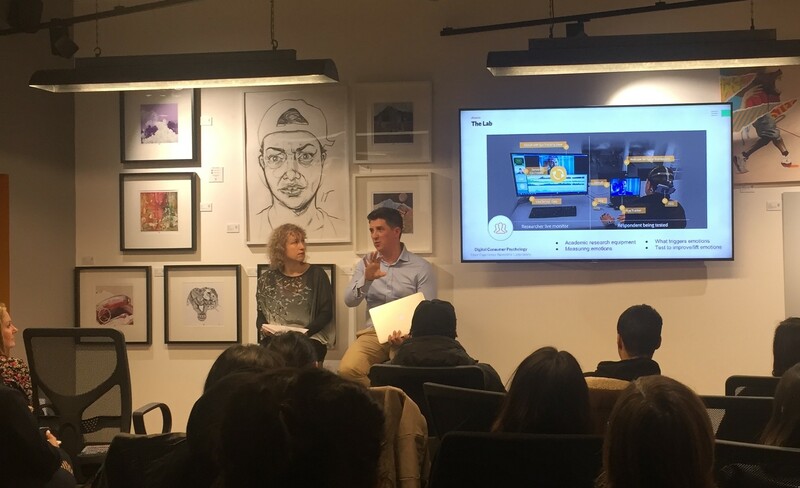 The event was a great evening attended by fashion entrepreneurs and retailers from across London looking to learn more about the world of eCommerce and digital marketing. Fashion Angel, founded by Alison Lewy following over 15 years in the fashion and textile industry is a business support agency committed to advising and nurturing start-up fashion brands to take their ideas from paper to reality. Many successful brands have come through the Fashion Angel network including the team from the London Sock Company and founder Alison has been awarded an MBE for her services to the fashion industry. With such heritage in the industry it was a great opportunity to talk at the event even if I was a little nervous. 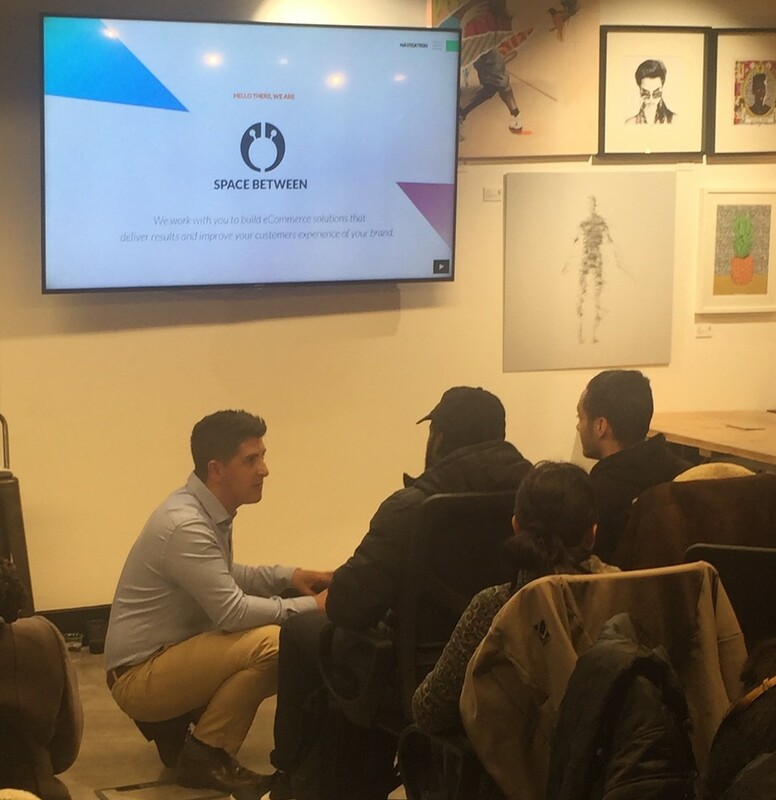 "...a relaxed informative evening with great insights into selling online and growing my retail business..."
The evening saw about 50 retailers from across London attend in Camden to learn about how to start selling online and how to increase sales online once you've started. Rather than a formal stand and pitch type talk the evening was relaxed and well structured allowing for open and interactive discussion to take place between the audience, Alison and myself. With open dialogue on the evening it was great to hear about the various fashion retailers there from baby grows to luxury swimwear to female incontinence underwear to hand-made fine jewellery. 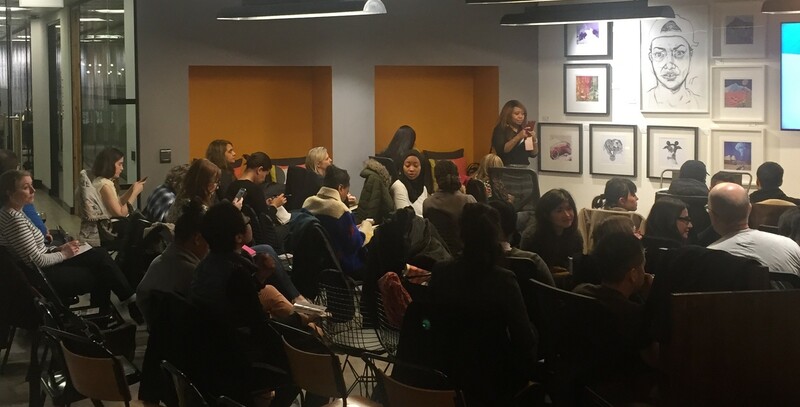 The mix of attendees of the evening was great and hearing the various business challenges was encouraging to other retailers in the room and rewarding being able to offer ideas and solutions to some of the most common barriers. As the evening progressed my presentation started with a focus on choosing the best platform for selling online and sharing tips and advice for how retailers could get up and running selling online quickly and cost effectively. For those already selling online we discussed area's of an existing eCommerce website that could be focussed on first to ensure that customers where most likely to make a purchase and "quick-wins" that would those in the room could take away and action themselves. We discussed marketing and driving more traffic to fashion retail websites as well and spoke of the many pitfalls of digital marketing and the sometimes high costs associated with PPC and SEO campaigns. One area that was discussed in the room was the "average" conversion rate. With retailers beginning to sell online and spending money on traffic manny business owners where keen to find out what levels of conversion they should be aiming for. For those selling already online and happy to share the room had conversion rates from less than 1% with an average of just above 1%. This is an encouraging start for many but also allowed us to discuss where this could be improved in the future to gain the higher conversion rates of 4-5% and above. As the evening draw to a close a lot of attendees had questions around PPC spend and I mentioned that there was a calculation that could be used to give an indication on how much you could look to spend on your industry terms. I have included the calculation below and a link to more information should any one want to learn more. Before I get onto the calculation it is important to note that these calculations are loose assumptions and based on your data. The factors that you can control such as your product price, your profit margins and importantly your website conversion rate. All these factors will be used in the calculation to understand a cost per click (CPC). Importantly if you can increase any of these factors you will be able to reduce your CPC whilst remaining competitive. More often than not it is far easier for retailers to increase their conversion rate than it is from them to increase their product price or profit margin and this is why many large retailers focus on increasing conversion rates heavily. Hopefully this calculation is pretty straight forward for most business owners but for details sake this is the price you sell the product for minus all other costs (fixed & variable). This calculation should leave you with a figure that is pure profit after everything has been accounted for. 2. Calculate your un-branded conversion rate. The conversion rate is the amount of sales your generate versus the amount of visitors your site attracts. Say your site attracts 100 visitors and you convert 10 of them into sales this would give you a conversion rate of 10% (very healthy!). However, if you are selling branded goods you must consider that some of that traffic was searching for a specific brand and was therefore highly qualified looking for a specific product. Say the brand was NIKE trainers and out of your 10 sales 3 of them had landed on your site with a search term "blue nike trainers" rather than "blue trainers" then the NIKE search term would be considered a branded conversion. In order to make a accurate estimation of the conversion rate of your site without high-intent traffic we must remove branded search queries from our calculations. In our example we would make 7 unbranded sales giving us an unbranded conversion of 7%. The breakeven cost per click is the amount you can afford to spend per click but not make any profit. This is an important number to know as you will generally not want to go over this figure unless in a high competition marker with a BIG budget. Lets assume your profit margin for a £100 product is £40 and you have a conversion rate of 2%. To calculate your breakeven CPC you multiply your conversion rate by your profit per sale. You should always set your max CPC below your breakeven CPC. Doing so ensures that every sale is making you a profit. If you do not do this every sale could be costing you more than you make in profit. If you lower your max CPC you will generate a higher return on advertising spend (ROAS) however, lowering it too far will result in lower total amount of sales. Whilst you set your max CPC due to how Google AdWords works your actual CPC spend commonly known as Average CPC will be about 20% lower than your max CPC. For example if you set your Max CPC to £1 your actual CPC will likely be £0.80. Hitting the sweet spot for CPC spend is a tricky business but as a very rough rule of thumb you should be aiming for a max CPC spend of 70% of that of your breakeven CPC. At this level you will be generating a clear 30% profit but also attaining a good volume of sales. This calculation should give you a rough estimation on how much you should be spending on CPC. For start-ups calculating this figure will be hard as you do not have previous conversion data from your website. With this in mind it is really important as soon as you start trading online that you set-up Google Analytics and conversion tracking properly on your store. Once you have this set-up I would encourage start-ups to calculate CPC regularly, (once a month) as this will allow you to adjust spend up or down as you collect more data on your website and customers. I had a great evening at Fashion Angel's selling online event and it was really interesting meeting so many start-ups and online retailers. If you weren't able to attend or even if you did I have included a copy of the slides from the evenings presentation here which you can download using the form below. Please send me a copy of the slides from the evening and add me to Space Betweens' monthly eCommerce newsletter.